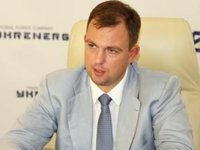 Ukrainian thermal power plants (TPP) from the date of introduction of a state of emergency in the country's energy system have halved anthracite coal consumption, Ukrenergo Acting Director Vsevolod Kovalchuk has said. "Making preliminary calculations, we expected to save 40%. In fact we spend twice as little of this fuel than we would have spent without introducing the state of emergency," he wrote on his Facebook page. According to him, without taking into account Luhansk TPP, which works in an "island mode," providing electricity to the north of the region, the rest of anthracite power units at TPPs use only 7,000-8,000 tonnes of coal per day. "It allows us stating that we'll definitely pass the autumn-winter period by the end of the heating season without power restrictions to consumers and rolling blackouts, if there are no any technological violations," Kovalchuk said. At the same time, the majority of Ukraine's nuclear power plants in the last week account for at least 60% in electricity supply, he said.